Radiohead and Led Zeppelin to headline Glastonbury 2009? Will Radiohead be down on the farm next year? Glastonbury 2009 may still be around nine months away, but organiser Emily Eavis has indicated that the headliners might have been booked already. Speaking to the BBC, Eavis said: "Because our tickets go on sale on 5 Oct, we've brought [the announcement of headliners] forward. So we're ensconced in chat about next year and there's a lot of good feeling after such an amazing festival. 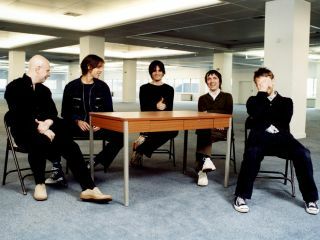 We're talking to a few people at the moment and I think pretty soon we'll have some stuff sorted". Not a lot given away there, then, but she also said that: "It's not Coldplay, it's not U2 and it's not the Rolling Stones". Given that Radiohead weren't included in this list, many people have deduced (rightly or wrongly) that they're shoe-ins to top the Worthy Farm bill next year. Eavis has also been quoted as saying that she'd like to book Led Zeppelin, but given the seemingly fragile state of that band, MusicRadar would be surprised to see them there.